A new Thai constitution being drafted by the ruling junta is a throwback to an era when a royalist and military elite had a stranglehold on politics, analysts and politicians say, warning of dire consequences for democracy. In the legislative building that once used to house elected MPs, Paiboon Nititawan is one of a core group of military appointees charting Thailand’s future. A year ago the veteran conservative was giving rousing speeches to crowds of protesters clamouring for the toppling of prime minister Yingluck Shinawatra and a military takeover. 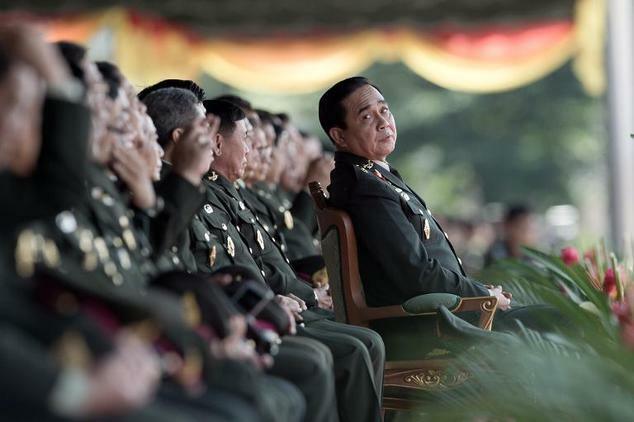 Thailand’s generals did just that in May. And Paiboon, like many prominent establishment figures, was rewarded with a seat on the influential committee redrafting the kingdom’s constitution. “We have designed this constitution based on countering the problems of the last 10 years,” Paiboon told AFP, a draft copy of the document on the table in front of him. “Thai political parties are different to other countries’… they can be bought,” he adds. In the eyes of the country’s elite, democratically elected politicians have ruined Thailand with populist policies and cronyism that lead the poor astray. They long for what they regard as a golden era when parliament was overseen by unelected elders who kept such populism in check. For many Thais the constitutional debate has a sense of deja vu. The charter has undergone more than a dozen rewrites in the last 80 years, either by democrats trying to consolidate parliamentary power or counter moves by the royalist elite to create a more pliant democracy. The current junta led by former army chief-turned-premier Prayut Chan-O-Cha is aiming for the latter. But they insist their reforms will finally end the political bickering and protests that have dogged what used to be one of Southeast Asia’s most vibrant economies. 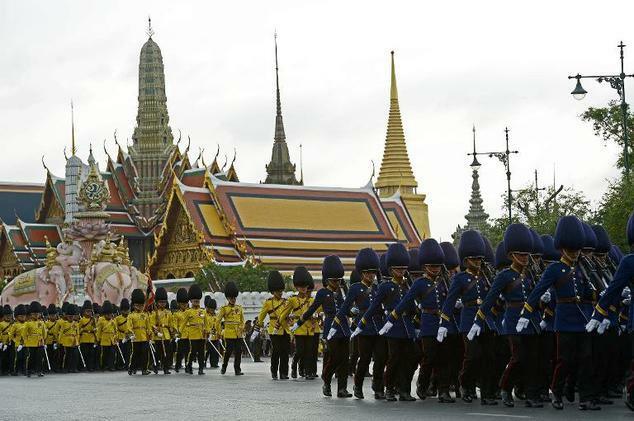 The first draft is expected on April 17 and the final document should receive royal approval from Thailand’s ailing 87-year-old King Bhumibol in September. Elections are slated for early next year. But enough details have been published to see what kind of political future the generals envisage. Paiboon explains two key reforms. A senate with the power to impeach elected politicians will be appointed and dominated by the old guard — including judges, former prime ministers and military figures. Parliament will be elected through a proportional representation voting system similar to Germany’s that will favour smaller parties and coalition governments. Analysts say those moves are designed to break the backs of large parties and — above all — ensure no group loyal to ousted premiers Thaksin Shinawatra and his sister Yingluck ever form an outright majority. “Elected politicians will be intensively monitored by a small band of bureaucrats, academics, and other technocrats from a moralistic-conservative wing,” explains Khemthong Tonsakulrungruang, a constitutional scholar at Bangkok’s Chulalongkorn University. Cultivating a staunch following among the country’s urban working-class voters and farmers in the north, parties linked to the Shinawatra family have won every election since 2001. Commentators say the new constitution is an attempt to return Thailand to a pre-Thaksin era. “This is surely a step back into what Thailand experienced in the 1980s — when the power was firmly in the hands of non-elective institutions,” Pavin Chachavalpongpun, a Thai academic at Kyoto University, tells AFP. 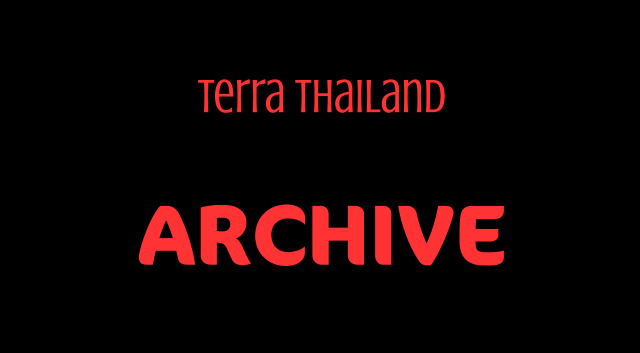 During that decade Thailand was led by ultra-royalist former general Prem Tinsulanonda, now head of the king’s hugely influential Privy Council. Paul Chambers, director of research at the Institute of South East Asian Affairs in Chiang Mai, says control over the senate would give “arch-royalists a means of vetoing progressive legislation coming from a popularly elected lower house”. But even the junta’s natural allies are wary. Senior members of the Democrat Party, historical opponents of the Shinawatras, have reacted with growing alarm to the charter draft. At a recent debate in Bangkok, former diplomat and Democrat Party heavyweight Kasit Piromya accused Thailand’s generals of pushing the “regression of democratic aspiration”. “What I am seeing at the moment… is the fear that we are going back,” he added. That raises question marks over whether the new constitution will be the silver bullet of stability that the military promises. A cartoonist for Thai Rath, the country’s largest circulation newspaper, recently offered his own take on that question. He drew the constitution as a ticking time bomb.